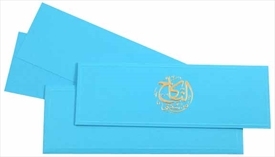 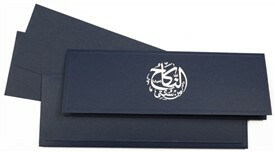 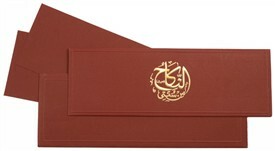 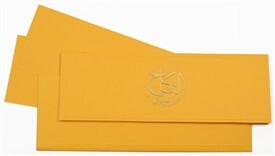 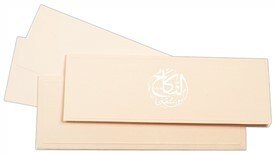 Gold embossed “Bismillah-Ir Rehman Ir Rahim” motif adorns the main card. Inserts have beautiful gold paisley and floral motifs. The main card and envelope have self-embossed outline.